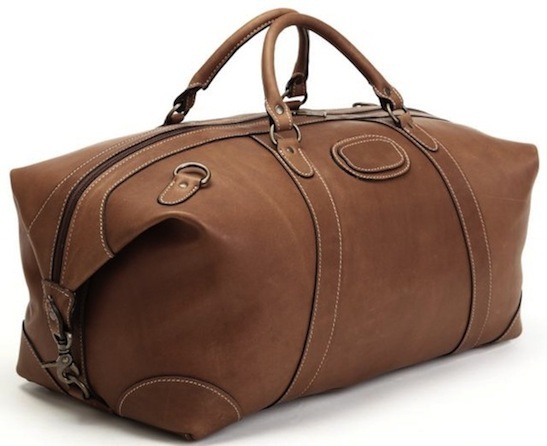 For quite some time we’ve been on the lookout for a vintage leather duffel. One that we can use for weekend trips, or something a bit longer, and looks like it has been around the world once or twice. After searching high and low, and coming up empty, we’re starting to think a better plan might just be to break in a bag of our own so we can tell the story of each and every battle scar. 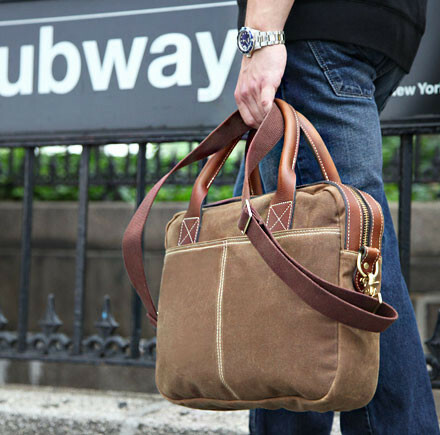 If that’s the route we end up taking, the Twain Duffel by Korchmar is the perfect starting point. Even though snow is back in the ten day forecast, we’re really enjoying the small reprieve from the freezing cold that we’ve gotten over the past two days. Literally, temperatures have doubled, but we know that we’ll be back to freezing in no time. Though short, this brief hint of Spring has really jumpstarted our searches for pieces that’ll need to be added to the wardrobe prior to the weather warming up for good. 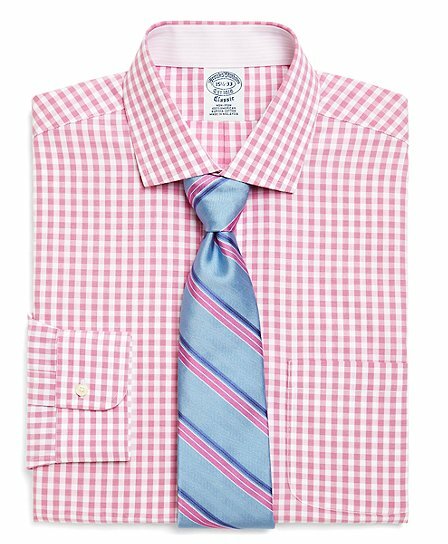 High on the list are a couple of new Supima Cotton Gingham Dress Shirts from our friends at Brooks Brothers. Yesterday, we talked about our new favorite pair of sunglasses from Costa. 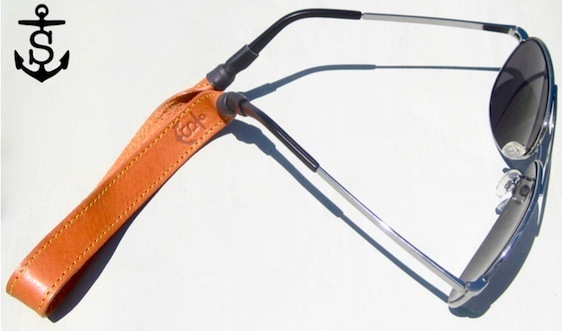 Today, it’s all about our new favorite sunglass strap. It made an appearance in our leather gift guide, and today we’re happy to announce that one lucky Bowties & Boatshoes is about to become the proud owner of a tan Shade Anchor courtesy of our friends at Sounder Goods. 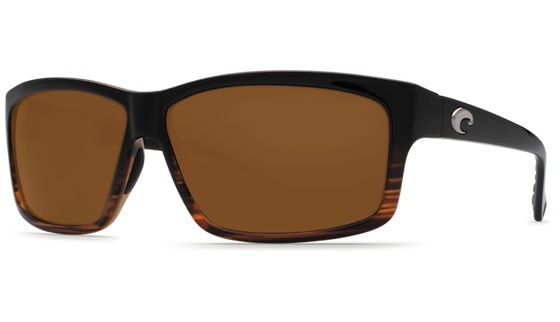 For quite some time now, whenever we knew a day was going to be spent on the water, or full of activity in general, we’d always grab a pair of Costas before heading out the door. The glasses are always comfortable, and they perform better than any others in our lineup. That being said, for days that were a bit more low key, or days that we were more worried about style than function (hey, it happens), our beloved Costas normally took a back seat. Well, that is all starting to change since we got our hands on one of the newest additions to the Costa lineup, Cut. 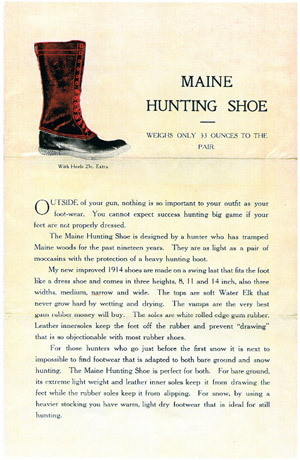 When there’s snow on the ground, you’d be hard pressed to find anything on our feet other than a pair of Maine Hunting shoes from L.L. Bean. That being said, it should come as no surprise that six iterations of these boots have been featured on Bowties & Boatshoes over the years. Which pair is your favorite? 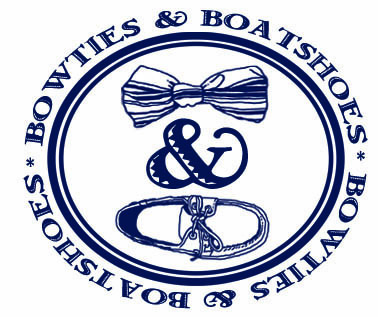 When you run a website called Bowties & Boatshoes, people pretty much expect you to have a bowtie on at all times. Though we wear bows frequently, every day would be a bit of overkill even by our standards. Today, we’re celebrating bowtie Friday without wearing a bowtie at all. Instead, it’s time to break out the new Bowtie Print Needlepoint Belt from our friends at Smathers & Branson. Plain and simple, it’s cold. With highs not expected to get much above freezing this week, we’ve found ourselves seriously considering heading South. We have the utmost respect for those of you who deal with these conditions for months on end, but we just don’t know how you do it. 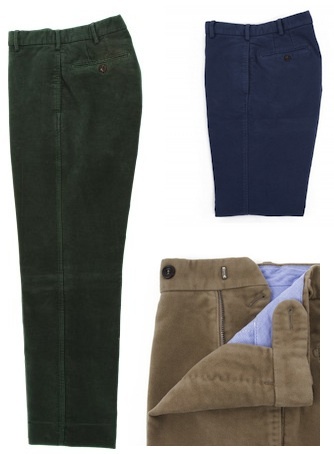 Regardless of where you live, if you have any semblance of winter, a pair or two of Sid Mashburn Moleskin Trousers should absolutely be in your wardrobe. Frankfurt Field Brief by Blue Claw Co.
As dependent as we have become on our laptops, it took us far too long to track down a suitable bag to tote them around. Sure, there are a ton of great options out there, but finding a bag that not only served the purpose we needed, but also matched our overall style was a task that turned out to be harder than you would imagine. Luckily for us, the search ended not too long after our friends at Blue Claw Co. unveiled their Urban collection. The Frankfurt Field Brief is exactly what we’d been looking for. To say the last few years have been a whirlwind for the guys behind Lumina Clothing would probably be quite the understatement. What started as a quest to find cotton skinny ties has lead to a thriving tie business, a successful Kickstarter campaign, and most recently the launch of a retail store in Raleigh, NC. We met the guys behind the brand last year at a Baltimore pop up, and the success that Lumina has seen couldn’t go to a nicer group. 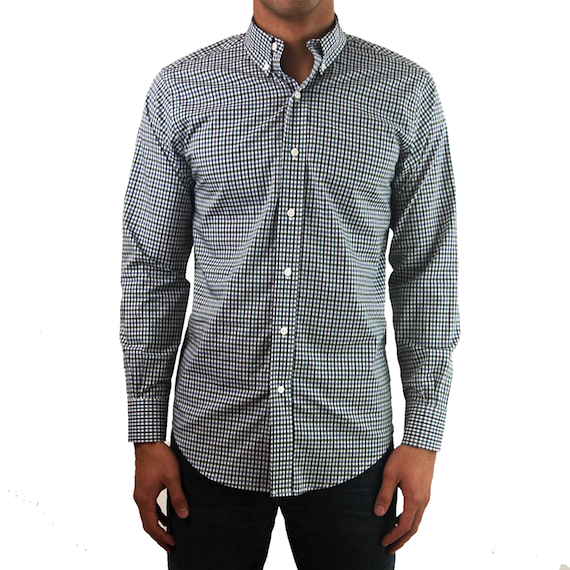 Recently, the Lumina team was kind enough to send up one of the newer additions to their line for us to check out, the Hunter & Navy Check Poplin Shirt. A staple piece that will never be out of style, we’re firm believers that every man needs a blue blazer (or two) at the ready at all times. Sure, you probably already have one that you swear by, but why not have a couple of choices hanging there ready to go when the need arises? 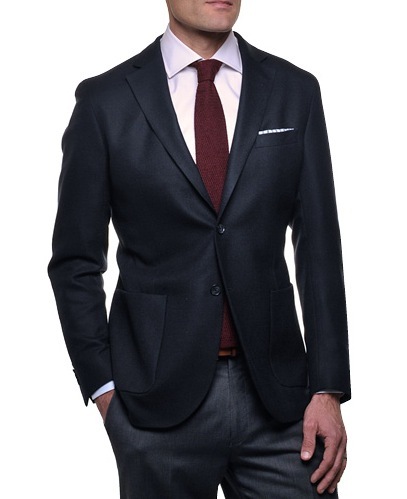 The next blue blazer in our collection will absolutely be the Blue Paton Blazer from our friends at Ledbury.